The need to collaborate, be acknowledged, to help, to uplift and to assist each other in a team is as natural as breathing. To feel and be a part of a connected framework, is a primary need that brings a sense of belonging amongst people who work together, building mutual aims and ambitions. This primal desire of being connected has been met in the modern age through cloud computing and mobile networks. WebHR has been a staunch supporter of going social from the beginning, even when the concept was unheard of and called themselves an All-in-one Social HR, pioneering the concept of highly engaged teams. The high-tech social dashboards on an HR software are a sight to be delighted. They bring the people working in a company closer and engaged in many ways and at many levels. The team motivation helps people perform at their highest potential, bringing a surge in company profits and improving revenues. The open work spaces are best examples of the collaborative teams, a very sought after, “must have” trait for the millennials. In the modern day offices employees want to associate themselves to a part of culture that speaks their language, their codes and behaviors, a true representation of most of the young and fast growing tech empires of the world; including the king of all “Facebook”. Their success story is based on Global connectivity and that is what modern day work spaces need the most. 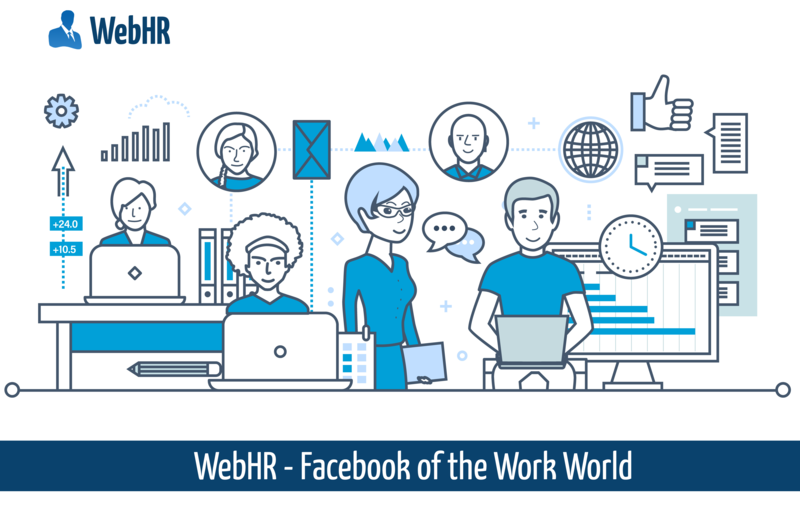 WebHR not just looks, feels and acts like Facebook, its highly advanced AI capabilities bring it closer to the fact that it is the “only software” out there to do things unconventionally, bringing a sense of ease and fun, while doing a boring and repetitive job of performing the HR tasks day in and day out. The complicated work flows are simplified for more accurate results. It has all the glory of Facebook fun, seriousness of the most sophisticated HCM suites and technology of the future to make it unique in every aspect. The clients feedback provides fodder to its self-esteem, WebHR has been told by some of the very well known companies in the world, that they spent millions of dollars in search of a suitable mechanism that they can adapt to and merge with their ecosystems for more productivity and failed at it, until they switched to WebHR. They hinted that the functionalities were far superior in comparison and it saved them immense time and money to manage their employees as compared to systems that took months to implement with complicated workflows, with little to no ease in learning curves. This young and promising company thrives on such feedback, it lives to accomplish this motto and provide the best practices for people and their companies, spreading a sense of comfort and ease all these social tools bring to your lives. 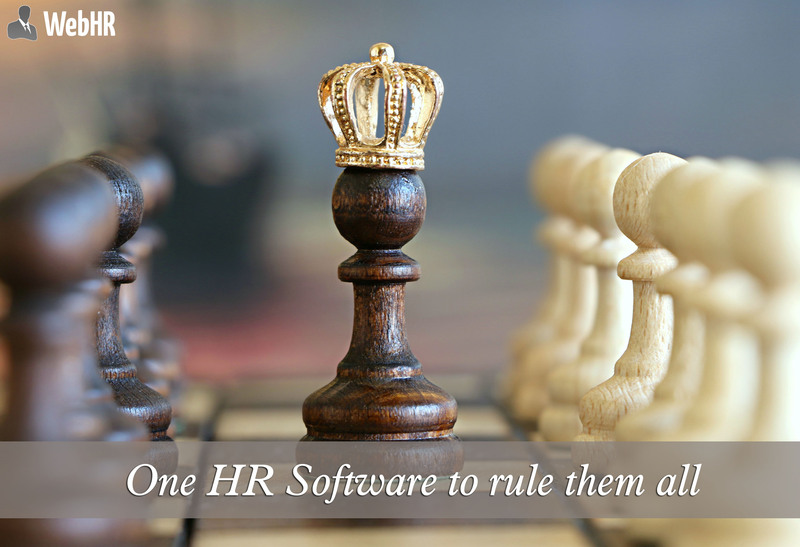 From the moment someone logs into WebHR, they are taken to a dynamic and a beautifully crafted dashboard. This dashboard allows the employees to update their statuses, post photos, videos, wish each other over the holidays, post birthday greetings, welcome new employees, announce something or share motivational content. They can share informative videos, creating a process of learning and employers can give badges to reward and appreciate the employees, boosting their Morales. There is a new chat messenger feature that allows all online employees using their WebHR accounts, to engage in a conversation with each other, keeping a log of their previous chats, so that they can catch up on their conversations in case they have logged out of the system. There is also a personal task widget with animated icons, to help create personal deadlines and a To-Do list in a fun way. The company news feed looks like Facebook and helps employees stay updated with the company timeline and its events like, company news, birthdays, lunches etc. All this exercise keeps them off their other devices, gently eradicating unnecessary distractions and their need to rely on them as a tool for communication within the company. This highly dynamic platform also provides a conference room, discussion forums, polls and surveys that creates essential recorded data for business intelligence. Employees through the history of workplaces have been subjected to harsh and unproductive work environments, where employers thought that the only engaging tool was to pay them well. As it has been proved over a course of time that, it is not true, employee wellness and performance improves with appreciation, rewards and acknowledgement. A collaborative work environment that encourages team spirit is more supportive and well perceived. 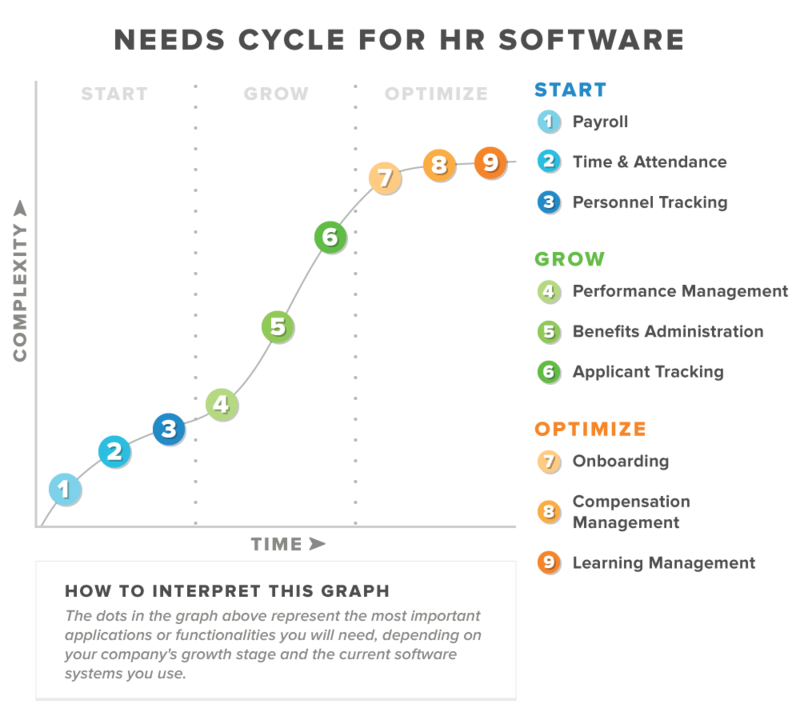 WebHR has played its role in the modern day HR industry by initiating this positive thought process, creating a well informed circle of employees that acts as a tightly knit community, which is not distracted but more encouraged to perform well by not competing with its peers but upgrading themselves to a better level and stage gradually. This process not just brings value but also forms a culture of symbiotic benefits, that have a chain effect on the progress of a company as a whole. The video chat feature in WebHR also eliminates the need for external software to jump in and fulfill that requirement, reducing the costs allocated for such tasks, conveniently bringing it all under one platform, saving a ton load of hassle to constantly stay on a switch mode. This level of engagement and connectivity brings forth teams that perform well in a Global setting as well. A well coherent inter-relational mechanism of all departments working in harmony, allowing customers to connect to support teams, support teams to tech teams, tech teams to collaborate with customer success, giving space to the R&D teams to build and research cutting edge technologies that are in turn tested and launched by separate teams. This fuels a funnel of inter-dependent and yet fully functional units at work that uplift and compliment each other, portraying the values of a company. This smart ecosystem gives birth to the concept of “we” rather than individuals working in personal capacities, forming personalities and characteristics of employees that tend to belong to “teams” and groups who collectively get appreciated and rewarded for accomplishing tasks done by helping each other out. This produces remarkable outcome when done in such a fashion, that it automatically highlights high-performers and alpha roles, that hardly ever crumble under pressure, solving problems at a rapid pace. WebHR’s social engaging tools form community of employees at work, that have an unwavering dedication towards team mission, they are go-getters, who believe in working with diverse teams, achieving goals faster, efficiently and more responsibly than others. The concept of a “fun” and “sassy” workplace brings more engagement and happiness, creating positive thinkers who in turn become high achievers. A fun workplace also accounts for an evident sense of happiness, creating positive vibes and outcomes. WebHR envisions the true image of practical connectivity and is considered as the “Facebook” of the work-world. The vision it embodies is the representation of a futuristic digital HR, that is part and parcel of a much needed HR transformation. WebHR’s future connected employees symbolize all the traits like goal oriented, fast communicators, information sharers, leaders and performers merged together. These are the people who always stay ahead of the learning curve.